Saturday Night Live (NBC, Saturday, 11:30 p.m.): Sorry, Chevy Chase, but the last few seasons of SNL have earned it its highest ratings since the mid-’90s and, after nabbing eight out of 21 Emmy nominations, new cast member Ego Nwodim, and four new writers with backgrounds in improv comedy, season 44 is off to a pretty good start. 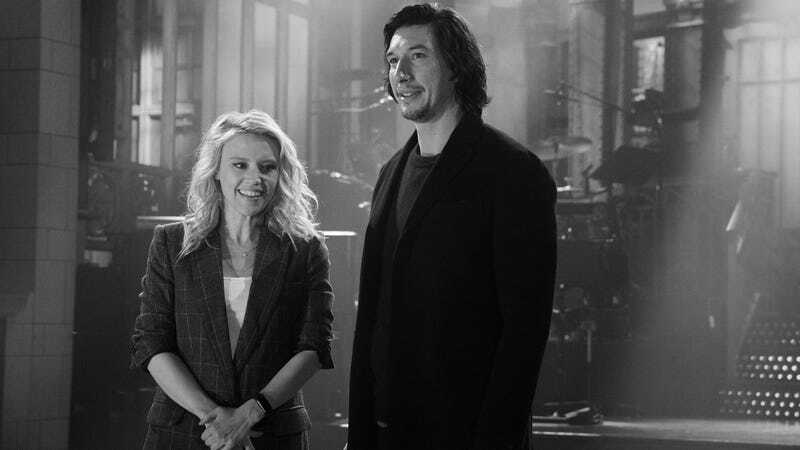 This season’s premiere has Adam Driver hosting for the second time, and we’re betting on the Star Wars and BlackKklansman actor to reprise his role as “Matt” in “Undercover Boss: Starkiller Base.” Plus, this show marks the seventh coming of Yeezus to SNL as musical guest and, given that his new album Yandhi is set to drop that day, it looks like this might be the premiere live performance of Kanye’s new tracks. King Lear (Amazon Prime Video, Friday): Saturday’s laughs will bring some much-needed respite from Friday night’s pick. Our wild card is William Shakespeare’s King Lear, a fatalist tale of the human condition—i.e., that “when we are born, we cry that we are come to this great stage of fools.” This ever-cheery Shakespearian classic gets a modern makeover from director Richard Eyre (The Children Act), with Sir Anthony Hopkins wearing the crown of the aging king who loses his kingdom (and his mind) for favoring flattery over genuine human connection. Supporting Hopkins are Emma Thompson, Emily Watson (Red Dragon), and Florence Pugh (The Commuter) as his daughters in this bleak story, one which has been by turns lauded as the greatest tragedy of all time and reworked, in later renditions, into a more optimistic ending. Plus, the modernization of the story into a world we know and understand might serve to make the language more accessible, and it’ll be interesting to see how the context of our current climate alters and informs the Shakespearian classic.